Valparaiso University and Beta Steel Headquarters are a short drive from this Portage, Indiana hotel. The hotel offers a free breakfast and free high-speed internet access. Every room at the Hampton Inn Portage features a coffee maker and cable TV. A work desk and in-room films are available in all guestrooms. 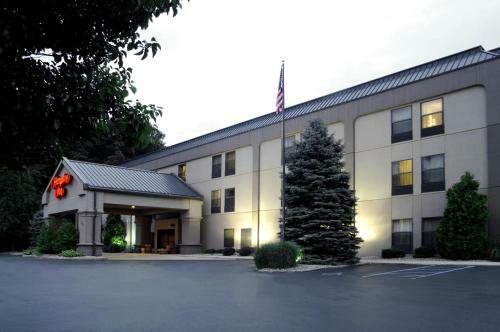 The Portage Hampton Inn hotel features a breakfast area and coin laundry facilities. A fitness room and an indoor pool are on-site. The Blue Chip Casino is a short drive from this Portage, Indiana Hampton Inn hotel. The South Shore railway is also minutes from the hotel. the hotel Hampton Inn Portage so we can give you detailed rates for the rooms in the desired period.